Does Contamination nullify the abilities of Crypt Ghast and Nirkana Revenant? 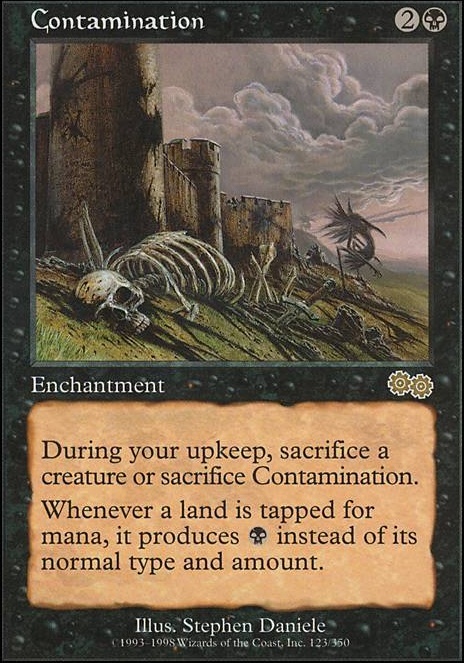 If a land is tapped for mana, it produces (Black) instead of any other type and amount. The thing is you have many valueplays but if you want to compete with Decks like the mentioned it won't be enough,if you want to keep the Graveyard matters theme I think Meren of Clan Nel Toth fits better with a fullprison build to disrupt their combo's till you just outvalue them,one of the cards that will probably anonym them the most is Contamination and your manadorks would help you to keep Balance mana. 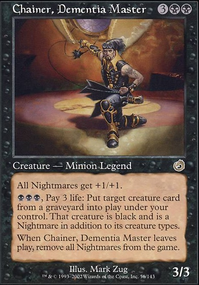 I’m also a big Chainer fan, and if you’re looking for deck ideas, I’ll post a link at the bottom. I have to say, if you have even one recurrable creature or typically make a ton of tokens, Contamination is worth running by itself. It does shut off coffers, but who cares because it shuts down opponents as well. A lot of people cannot come back from it, and Chromatic Lantern doesn’t solve it either. Very good way to slow your opponents while building your final plays. Looking back upon your deck from that point of view I would agree with you. If you don't mind me asking is this deck supposed to be a more "casually competitive" deck or a "3-5 I win on spot sort of deck"? If this is meant to be more of a casually competitive deck I would give an A+ right now and it will definitely get that done, but now looking at the deck from a "very" competitive point of view... If you are trying to win the game by turn 5 at the latest and you have about a 45% chance of hitting ONE of the 5 cards that you were mentioning would be a dead draw then you are already in good shape. The best thing about the combos I've listed, while there are many more to be listed, is that even if you draw any 1 of the those 5 combo pieces you will always be able to pull off at least one of the others very quickly in a deck packed full of tutors rather than tons of combo pieces. While the cards you listed for your combos are not 100% dead draws in this deck, if you were going up going up against highly competitive decks (ex. Zur Doomsday , which wins on turns 3-4 almost always) then they really wouldn't make any difference. Back to the Contamination combo you mentioned, for a "casually competitive" deck that is great, but when going up against deck that are very competitive and can function off none by turn 3 it really does nothing (most mana is gained from Rituals (ex. Dark Ritual ), Mana Rocks (ex. Lion's Eye Diamond , Mox Diamond , "Free Spells" (ex. Gush , etc). Back to my personal thoughts on the deck, I really like the deck and think if you put some more work into designing a more consistent core to the deck (even though it already looks very good) then I believe this will turn into a very good deck on competitive levels of EDH. 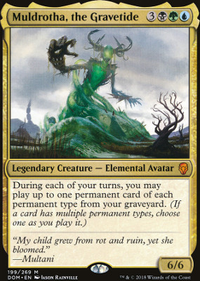 In the mean time if you were to bring this to you LGS to play EDH I would have high expectations that you would win each time, if no one was playing any decks on the level of Zur Doomsday competitive. One last thing, future advice on building combo decks try to start off with finding one combo that is either very hard to disrupt and can win by your next turn or can simply win the game on spot and then build around that. Just believe me when I say that will always make a deck better. Thx you for your comment and upvote, mate. I see point in combos you mentioned but personally I dont like "Mike and Tike" combination. 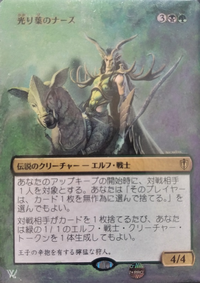 Its biggest con is that Triskelion and Walking Ballista pretty useless cards without combo with "Mike". Second combo on Buried Alive in my oppinion is even much worser cuz Palladium Myr , Pili-Pala , Scrib Nibblers in 99% of time will be dead draw cards. I use Buried Alive in 90% of all time to put Bloodghast , Sidisi, Undead Vizier to graveyard and last card is depends from board situation. 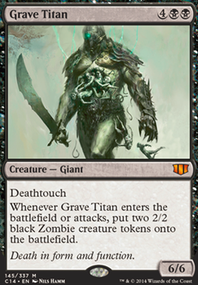 Often it is Gravecrawler to combo off. Sometimes it is Reassembling Skeleton if Contamination is on the board or Maralen of the Mornsong if Stranglehold is online. Profet93: most of the wins are through combo or Living Death loops. While graveyard hate can tear it up sometimes, cards like Rest in Peace aren’t played often so it’s never been an issue. As for other stuff, politics gets me pretty far, and the speed and resilience of the deck gets me the rest of the way. 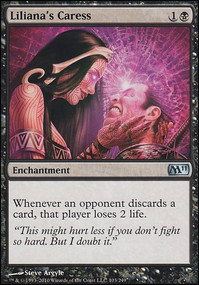 Contamination can totally shut down decks as well since black has issues with enchantments already and locking people out of their mana tends to win. Ragnar0k: I don’t run the monument because I don’t often cast any creatures. 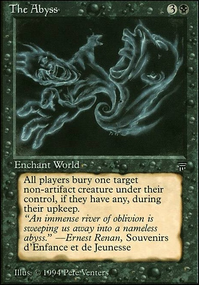 Most stuff comes out through recursion, and the drain creatures in the deck are recurrable so they take care of the monument’s second ability. crackerjackz: there’s a lot of different combos. Sac outlets make up most of them, as it enables tons of shenanigans, and Pawn of Ulamog and Pitiless Plunderer help it go infinite with the drain creatures. Gravecrawler is a big enabler there for that kind of win. I can also loop Living Death with Xiahou Dun, the One-Eyed and a sac outlet that nets mana. There’s more ways than that but those are main ones. I also had Sheoldred, Whispering One in here for a while too, and he abilities are seemingly made for Meren. Problem was, she was so good I drew a ton of hate as soon as I played her, and maybe only got to one person's upkeep before she was dealt with. I determined I would rather have the high-mana creature slots for something I could get more value out of before they died. Plaguecrafter is already in the deck, and I have thought about running more effects like it, but I'm not really going for Stax Meren (hence why there isn't Contamination or Mindslicer ). I have built it before, but it just isn't my preferred way to play. Stax Meren is powerful and likely better than this deck most of the time, but I have more fun with this version.